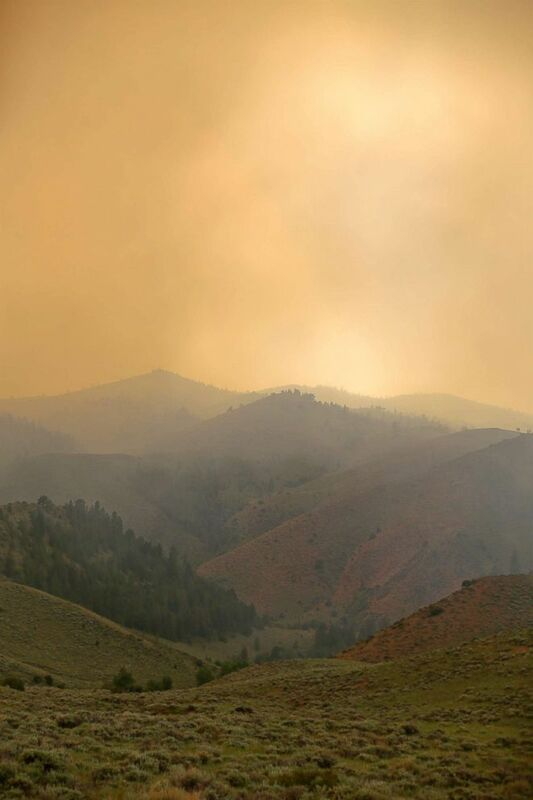 Hot and dry conditions are helping fuel fast-moving wildfires blazing throughout the West. 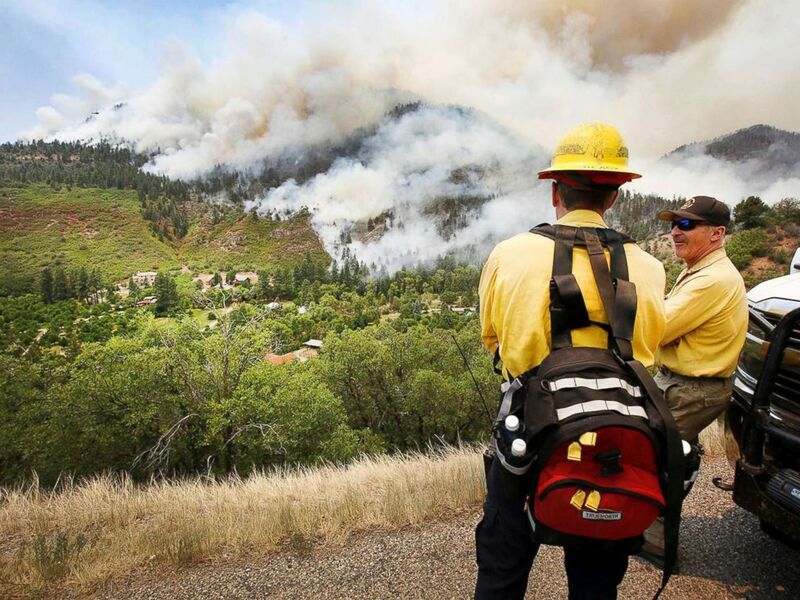 Randy Black, deputy chief of Durango Fire Protection District, and Mike Tombolato, a Rocky Mountain Type One Team member, look over as a fire burns south of County Road 202 during a burnout operation, near Durango, Colo., June 11, 2018. 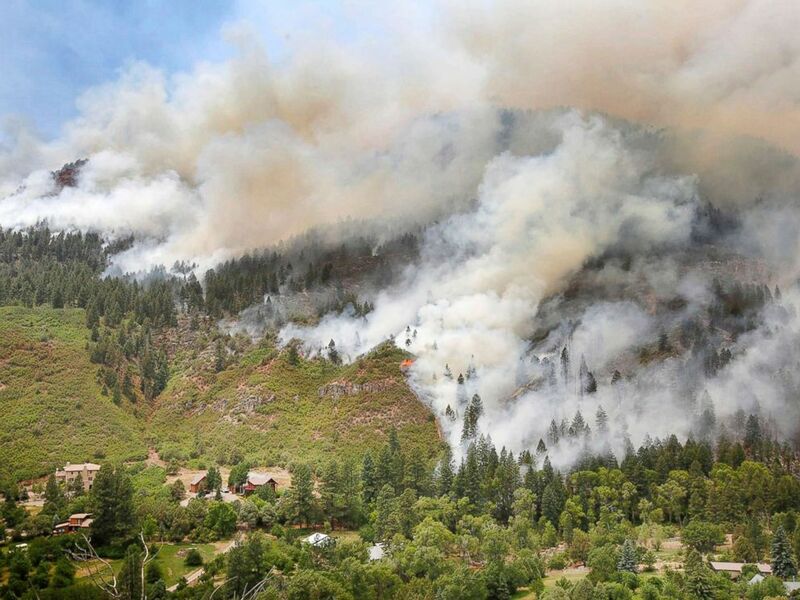 Fire burns around homes south of County Road 202 during a burnout operation, a technique used to consume fuel from wildfires, near Durango, Colo., June 11, 2018. 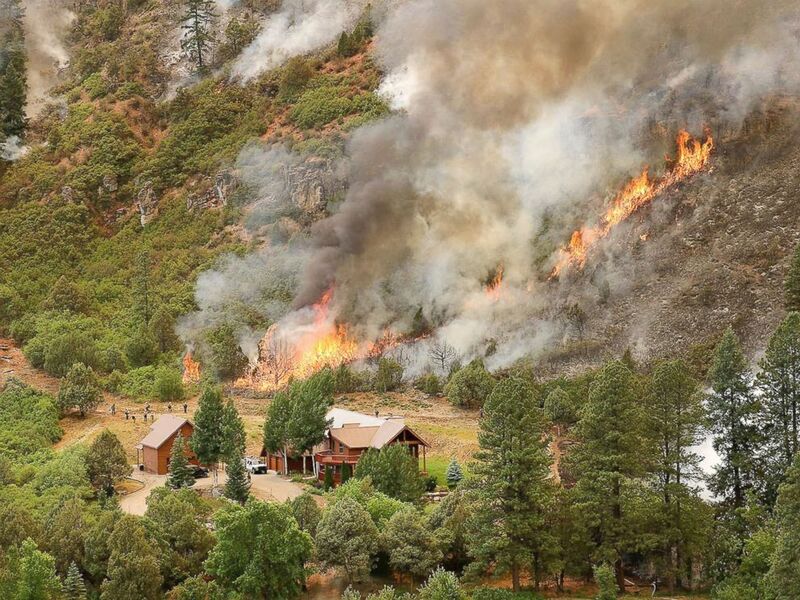 Firefighters monitor flames behind a home during a burnout operation that was performed south of County Road 202 near Durango, Colo., June 11, 2018. 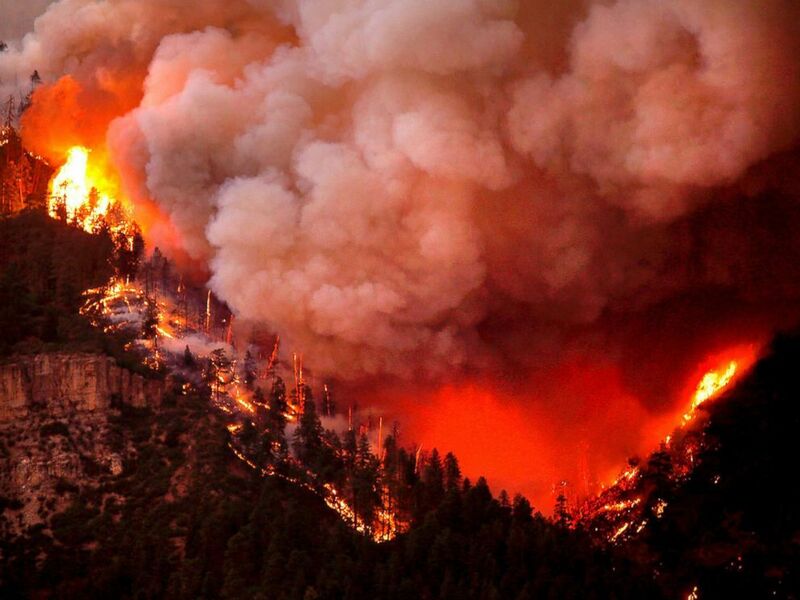 The 416 fire burns down Hermosa Cliffs above U.S. Highway 550 on the southeast side of the fire near Hermosa, Colo., June 6, 2018. 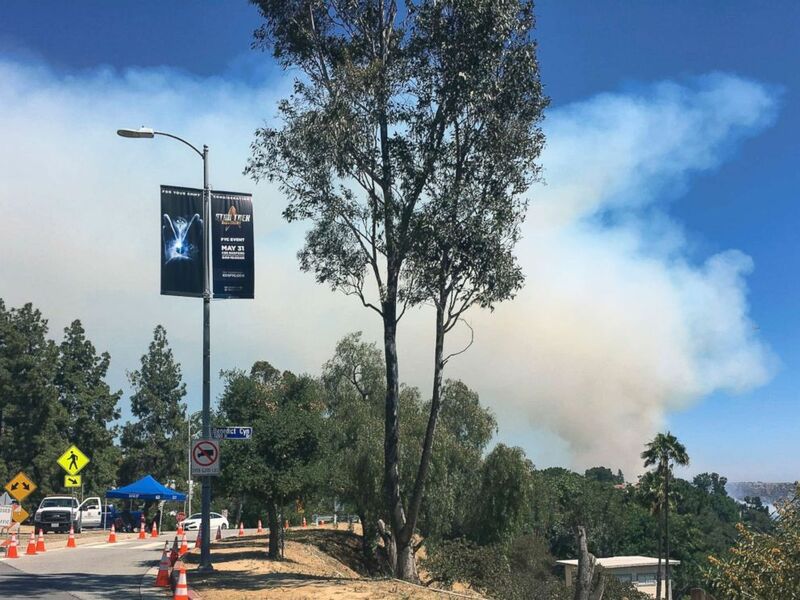 A large plume of smoke rises over Benedict Canyon in Los Angeles in the hills surrounded by Beverly Hills, Calif., June 12, 2018. 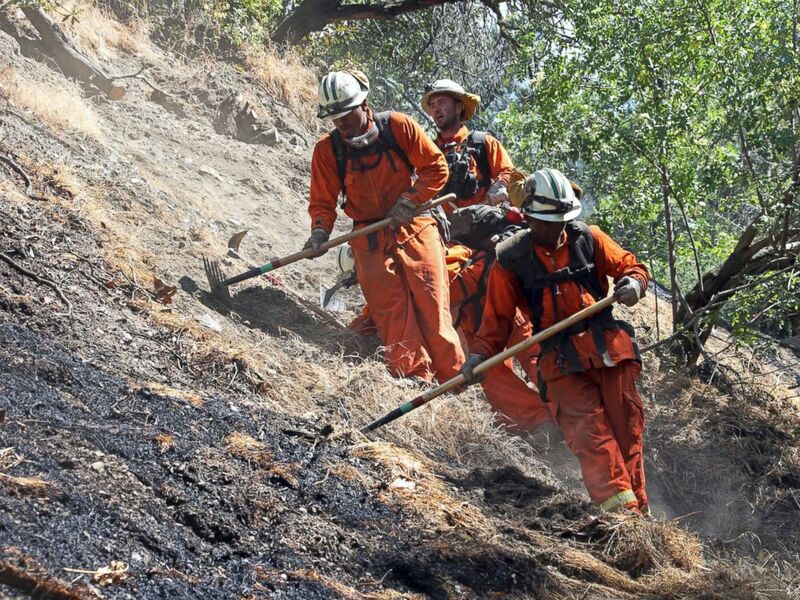 Firefighters clear burned and unburned brush from a hillside above Portola Drive after a wildfire broke out in the Benedict Canyon area of Los Angeles, June 12, 2018. 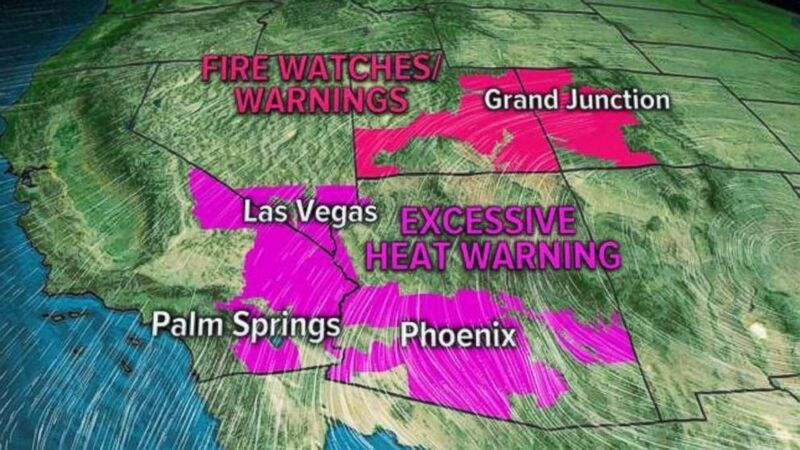 Hot and dry conditions are expected in the Southwest as it deals with wildfires. 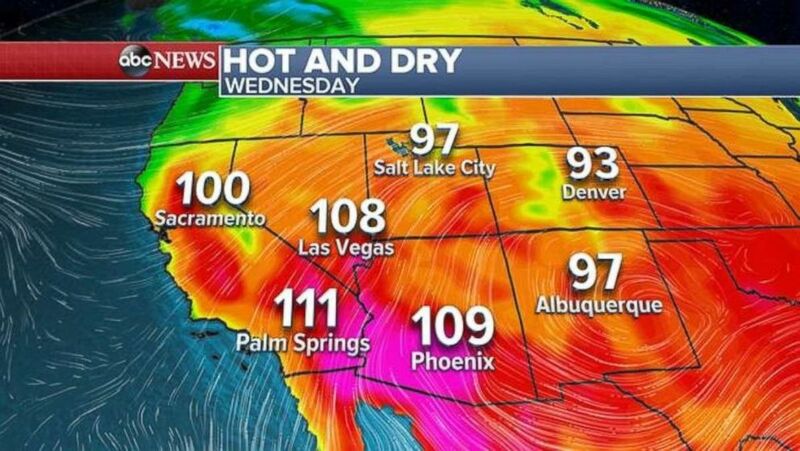 Temperatures will be well above 100 degrees in Arizona and much of California on Wednesday. On Wednesday afternoon, the storm was churning up 60 mph winds about 240 miles from Cabo San Lucas. 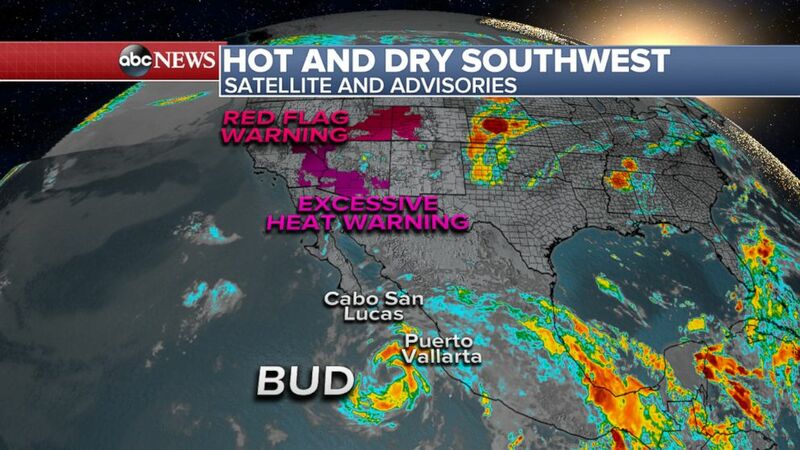 An ABC News weather map shows hot and dry weather predicted for the Southwestern U.S. 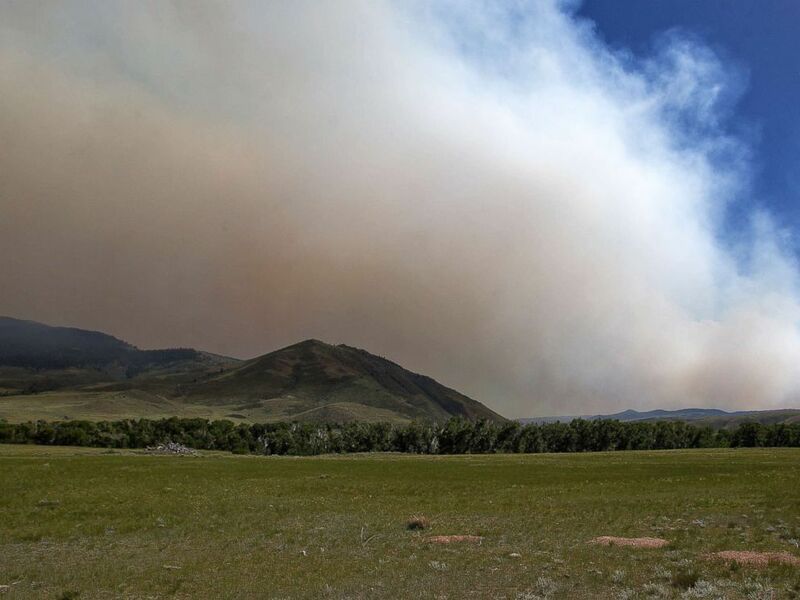 Smoke from the Badger Creek Fire drifts through the air, June 11, 2018, as seen from Highway 10, near Woods Landing, Wyo.